We are pleased to announce our first inductees into the Central Washington Sports Hall of Fame. More than 60 local people were considered. Join us on June 9th at the Yakima Convention Center at 6:30 p.m. to honor these 9 extraordinary men and women as they are placed into the inaugural Central Washington Sports Hall of Fame. Russell Baze, the most famous member of the prolific horse racing family, retired in the summer of 2016 with the most career victories in North American thoroughbred racing history. He rode in more than 53,000 races and had 12,842 first-place finishes, 9,600 seconds, 7,855 thirds and $199.3 million in purse earnings in a career that spanned more than 40 years. Baze’s racing career began in Walla Walla and he won his first race at Yakima Meadows on Oct. 28, 1974. He became with winningest jockey with his 9,531st victory in 2006. He is a member of several Halls of Fame including the National Museum of Racing’s Hall of Fame (inducted 1999) and the Canadian Horse Racing Hall of Fame (2012). He also was honored by fellow jockeys with the George Woolf Memorial Award (presented to the North American jockey demonstrating high standards of personal and professional conduct) in 2002, and received a Special Eclipse Award in 1995 for becoming the first jockey to win 400 or more races for four years in a row (the span actually lasted seven years, 1992-98. Kelly LaBounty, nee Kelly Blair, is arguably the greatest all-around athlete to call Central Washington home. Beginning in her youth at Prosser High School, she was a champion at every level. Blair led the Mustangs to the Class A basketball state championship in 1989 and was the state tournament MVP. She also won 10 individual track and field state titles, was a three-time all-league selection in basketball and all-league in volleyball. Blair was a track and field star at the University of Oregon, becoming the second woman to win back-to-back NCAA titles in the heptahlon. She also earned two letters playing basketball for the Ducks. She took first place in the heptathlon at the 1996 United States Olympic trials, and took eighth in the event at the Atlanta Olympics later that summer. Blair placed third at the 2000 U.S. trials, but was unable to compete in the Sydney Olympics because of injury. She is a member of several Halls of Fame including the University of Oregon Athletic Hall of Fame in 2004, Oregon Sports Hall of Fame and the Washington Interscholastic Activities Association. Frederick Charles Brayton, better known as Chuck or Bobo, was an All-American baseball player at Washington State College before becoming a championship-winning coach at Yakima Valley College and Washington State University. The Vancouver, Wash., native took over the YVC program, and guided the Indians to 10 league titles in 11 seasons (1951-61) and compiled a 251-68 record. Brayton also coach the YVC football team for six seasons. He returned to WSU as coach, where he would become the fourth-winningest manager in NCAA Division I history with a 1,162-523-8 record in 33 seasons (1962-94) guiding the Cougars. His WSU teams won 21 conference titles -- 11 straight from 1970 to 1980 – and advanced to the College World Series in 1965 and -- 1976. His Halls of Fame include the American Association of College Baseball Coaches, WSU Athletic, Inland Empire and the Washington High School Coaches, even though he was not a high school coach. Gene Conley was a multi-sport athlete who took his talents to the highest level. After starring at Washington State University in both basketball and baseball, Conley signed a pro contract with the Boston Braves after his sophomore season in 1951. A year later he would join the Boston Celtics to become the first two-sport professional athlete. Conley pitched 11 seasons in the major leagues and compile a 91-96 record and was a three-time All-Star. He also played six seasons in the NBA and won three basketball titles and one World Series ring, becoming the only athlete to win championships in two professional leagues. Conley, who is a member of the WSU Sports Hall of Fame, died in the summer of 2017. The Naches Valley High School graduate won the overall World Cup championship three years (1981-83), and gold and silver medals in the slalom at the 1984 and 1980 Winter Olympics, respectively. Mahre’s father was the manager at the White Pass Ski Area, where Phil and his twin brother, Steve, would begin their Olympic pursuits. The brothers would appear at three Olympic games, with the highlight being the 1-2 finish in the slalom at Sarajevo in 1984, with Phil taking gold and Steve silver. • Three-time winner of the U.S. National Giant Slalom title and five time winner of the U.S. National Slalom title. • International Skier of the Year three times and Skier of the Year five times. Dean Nicholson followed – and surpassed – the success of his father, Leo, as head coach of the Central Washington men’s basketball team. After graduating from Ellensburg High School, Nicholson was an all-conference guard playing for the Wildcats and his father, and also was a standout on the CWU baseball field, too. He coached 14 years at Puyallup High School before taking the reins of the Central program in 1964 from his father. The younger Nicholson would coach CWU for 26 years and rack up a 602-219 record with 22 trips to the NAIA national tournament, where the Wildcats would win 38 games and advance to the final four six times (second in 1970, third in ’67, 69, ’87, ’89, fourth in ’85). After his time at Central Washington, which included being named NAIA National Coach of the Year in 1970, Nicholson would coach the Yakima Sun Kings of the Continental Basketball Association (’90-91) for two seasons. And in 1995 he came out of retirement to coach Yakima Valley College for three seasons, and his teams totaled 74 wins. Nicholson is in the Halls of Fame for the Washington State Basketball Coaches Association, NAIA and CWU. Pete Rademacher won a gold medal in heavyweight boxing at the 1956 Summer Olympics in Melbourne. The Golden Gloves champion then became the first boxer to challenge for the world heavyweight boxing championship in his pro debut, when he took on Floyd Patterson at Seattle’s Sicks Stadium. Patterson won by technical knockout in the sixth round, after being knocked down by Rademacher in the second round. The Tieton native finished with a 17-6 record. Before his boxing exploits, Rademacher lettered twice in baseball and football at Yakima Valley College, and earned two more letters in football at Washington State University, where his is a member of the Athletic Hall of Fame. Mel Stottlemyre Sr. was both a standout pitcher and pitching coach in Major League Baseball. After graduating from Mabton High School, Stottlemyre pitched one season at Yakima Valley College before signing to play for the New York Yankees. He was the ace of the Yankees staff from 1964-74, comping a 164-139 record and earning All-Star recognition five times. Stottlemyre won 15 games or more seven times in his 11-year career, and reached the 20-win mark three times. And while he was a stalwart on the mound, he’s as known as much today for being a standout pitching coach, guiding the staffs of team who have won four World Series titles. His sons, Mel Jr. and Todd, are both Davis High School graduates and pitched in the major leagues. Mel Jr. is the current pitching coach for the Seattle Mariners. 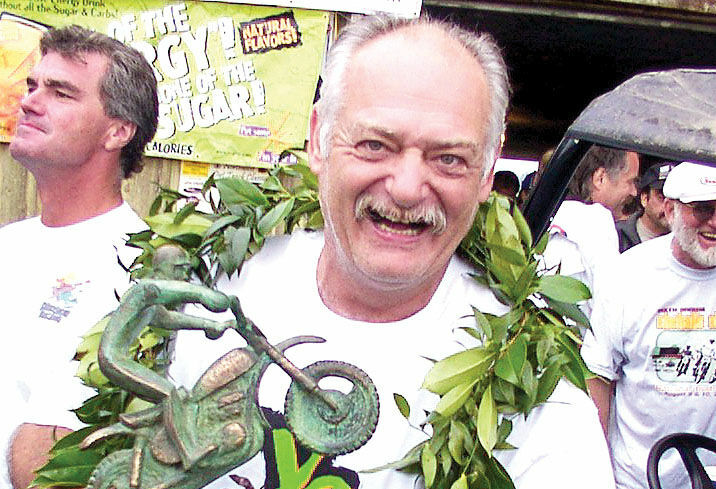 Yakima Valley native and motorcycle-racing legend Jim Pomeroy is the winner in a Readers’ Choice online vote for induction with the inaugural Central Washington Sports Hall of Fame class. Pomeroy, who died in a car accident near Tampico in the summer of 2006, was the first American to win a World Championship Motocross event. He won several more races on the world stage after his initial victory in the 1973 Spanish Grand Prix and was inducted into the Motorcycle Hall of Fame in 1999. He was born in Sunnyside in 1952 and spent much of his life in Yakima, where he lived with his wife, Linda, and their daughter at the time of his death. JOIN US IN HONORING OUR INAUGURAL CLASS OF INDUCTEES FOR A SPECIAL CEREMONY ON JUNE 9TH, 2018 AT THE YAKIMA CONVENTION CENTER FROM 6:30 P.M. TO 9:00 P.M. ATTENDEES WILL ENJOY FOOD, CASH DRINKS, LIVE ENTERTAINMENT AND AN AWARDS PRESENTATION. Yakima native, former Yakima Sun Kings general manager, director of sports development for the Yakima Valley Sports Commission. Former teacher in Yakima School District, longtime official and key contributor to state tournaments in Yakima, member of the WIAA and Davis High School halls of fame. Driving force behind the state tournament in Yakima, as well as a key figure in the history of the Yakima Beetles and American Legion baseball. Tri-Cities native and spend more than 15 years as sports editor at the Tri-City Herald. Spent more than 25 years as sports editor of the Yakima Herald-Republic, leader of the Monday Morning Quarterbacks Club, key contributor to the state tournaments in Yakima. Has spent more than 30 years as prep sports editor at the Yakima Herald-Republic, member of multiple Washington high school sports halls of fame for his reporting. Washington native and has spent more than a dozen years at sports editor of the Yakima Herald-Republic. I. The Selection Committee for the Yakima Valley Sports Hall of Fame, referred to after here as the Committee, will be made up of two members of the current Yakima Herald-Republic sports department (Sports editor Jerrel Swenning, sports reporter Scott Spruill), and six to eight members of the Central Washington community at large who have a broad knowledge of the sports history of the Yakima Valley. The six at-large members will be selected by members of the Herald-Republic. II. Members of the Committee serve at their own pleasure with no designated length of term. Committee members wanting to step down are asked to provide recommendations for a new member(s) on the committee. III. The Committee will meet and/or communicate electroically at designated times throughout the year, including twice in the fall – 1. To compose a list of Hall of Fame nominees, and 2. To vote on the Hall of Fame nominees, and in the spring to rehash that year’s induction and to select the Committee chair. IV. Yakima Herald-Republic sports editor Jerrel Swenning will act as the chair of the Committee through the induction of the first class of Yakima Valley Hall of Famers. After which, the chair will be voted on. V. Athletes/coaches/contributoes inducted into the Yakima Valley Sports Hall of Fame will be voting members of the Committee. Their attendance at any meetings will not be required, but they will receive a final ballot and can vote. A. Athletes who were born and/or raised in Central Washington (defined as the area of Cle Elum in the west to Wenatchee in the north, east to the Tri-Cities and south to Goldendale) and had a lasting impact at a local, state, regional and/or national level that lasted more than five years. Athletes must have been retired from their respective sport for five years. B. Coaches or contributors who were born and/or raised in the Yakima Valley and had a lasting impact at local, state, regional and/or national level that lasted for 10 or more years. Consideration will be given to that coach or administrator if his or her career expands beyond the Yakima Valley, although this is not a requirement. I. Each member of the Committee will submit a list of 20 nominations for induction into the Central Washington Sports Hall of Fame. II. The nominations from the Committee members will be collated with redundancies removed. The resulting list will constitute the finalists for induction. III. Committee members will vote for 12 finalists from list in no particular order. IV. Finalists receiving 70 percent of the vote from Committee members will be inducted into Yakima Valley Sports Hall of Fame, with a minimum of five athletes/coaches/administrators being inducted. If five finalists do not receive 70 percent of the vote, the top-five vote-getters will be inducted into the Central Washington Sports Hall of Fame. The initial class will consist of the top eight vote-getters, no matter their percentage. V. Modifications to the nomination and voting process will be made after the initial induction class based on opinions of the selections committee to ensure a fair and complete process for those who have been nominated and those who might be nominated.